If you are interested in trying out Royal Panda online casino then they will offer you a 100% bonus on your first deposit up to €100. In addition to that they will offer you 10 free spins to try your luck on the slots. If betting on sports is your melody then Panda Casino will offer a 100% welcome bonus on a €20 deposit. Royal Panda online casino focuses on casino, live casino and sports betting. Slots is one of their biggest casino types. Being a relatively young casino their selection of different casino types is still very satisfying. Despite being a young online casino they already have wide option of casino software providers allowing them to properly serve their customers and their online gambling needs. Top providers Microgaming and NetEnt is on their list together with 1x2 Gaming, Barcrest Games, Evolution, Genesis, Aristocrat, Elk Studios, NextGen Gaming, Thunderkick, Evolution Gaming and Rabcat. Deposit options for Royal Panda online casino are plentiful. All the big credit cards are accepted (VISA, VISA Electron, Maestro, MasterCard). Prepaid option like paysafe is another option together with Ewallet solutions bank transfers from Skrill, NETELLER, ecoPayz and Trustly. Royal Panda also offer their german customers to use Sofort and giropay. In Latin america online gambling players can use dineromail on of the biggest in the region. Zimpler for mobile is an option for nordic casino players. 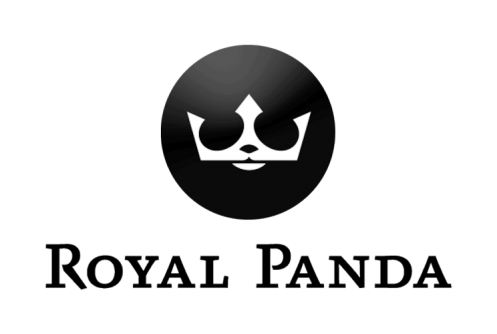 Withdrawal options for Royal Panda online casino is more limited than for deposit options. Casino players can choose to withdraw their winnings on all credit cards. Other big and very popular options are Skrill and NETELLER. Bank transfer can also be made with FAST bank transfer. Absolute minimum amount casino players can withdraw is €10. For Skrill and NETELLER transfer time is instant. For credit cards and bank transfer the time is between 1-5 days. Languages supported by Royal Panda online casino are the big european languages like English, German, Spanish and Portuguese together with the nordic languages Swedish, Finnish and Norwegian. Other languages are the two big asian markets and languages Chinese and Japanese. Royal Panda online casino offer live chat, mail and telephone as options for customers to reach them. If there is something on our wishlist that would make us rank them higher on customer support it to extend the support especially the live chat as a 24/7 service. Currently the customer support from Panda Casino is limited to business hours 09:00 am to 00:30 am (CEST). Since the very beinning Royal Panda online casino has chosen to focus on instant play and mobile. Seems kind of fitting for a new and quick footed player on the online gambling scene. Their focus has made them one of the fastest growing online casino brands. Future will tell if they continue to focus on existing game type or if they add download as an option for their customers.